The horse is a cheerful animal and will make the atmosphere positive when they are present. They are also very popular so social skills is one of their strong points. 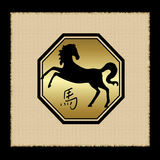 The horse is an independent sign which they will be able to carry their own burden without much help. Most of all they are witty to the point that can make intelligent conversations that will attract people to them. On the other hand, the horse can be stubborn and will not yield to anyone’s opinion sometimes. They can also become very talkative to the point where it can be annoying to listen to. Worst of all, they are impulsive and will make decisions without rational thinking.